Consumer Reports is arguably America's most trusted source of product reviews -- published by Consumers Union, a venerable nonprofit with a deserved reputation for scrupulous care and neutrality -- and for years it has been wrestling with how to address privacy and cybersecurity in modern products (disclosure: I have advised them some on this). In 2016, the magazine published a blockbuster security analysis of a horribly leaky pregnancy-tracking app; they hired a director of tech policy later that year; then they published a dire warning about crypto backdoors within a year; and were early doomsayers about SIM Swap scamming. 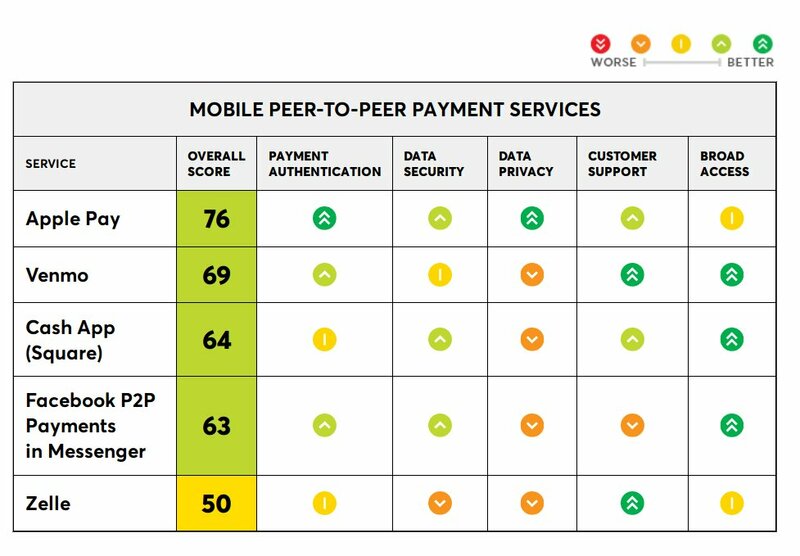 Now they've gone all in: according to Geoffrey MacDougall, Consumer Reports' head of partnership and strategy, they've broken new ground by explicitly factoring privacy and security into a product category roundup, which led them to give top marks to Apple Pay as the top-rated P2P payment service. To judge data privacy and security, Consumer Reports convened a group of national privacy and security experts to help develop a set of criteria we’re calling The Digital Standard. We plan to use the standard in future ratings of internet-connected products. Our partners include Cyber Independent Testing Lab, which is a nonprofit software security testing organization; Disconnect, which makes privacy-enhancing software for consumers; and Ranking Digital Rights, which is a nonprofit that evaluates company privacy policies and their terms of service.